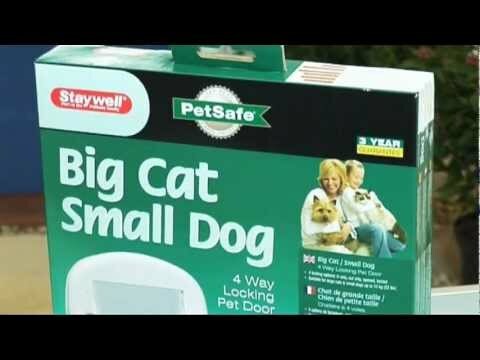 Give your cat the freedom he needs while still having access to your home with the Staywell® Big Cat/Small Dog Pet Door. It's suitable for both cats and small dogs up to 10 kilograms with a maximum shoulder width of 180mm. It can be locked completely or the selective entry can be set to only allow your pet out or only allow them in or give them total access both in and out.